For months before marriage God spoke to my heart of new things, prepared my soul to cling to His promise, “Behold, I am doing a new thing.” This seemed obvious. Of course, marriage was new, learning to share leadership in our home was new, having someone to share everything with was new – and so wonderful! – nearly everything felt new. What I did not perceive all the months of these whispers was that God was also speaking of something much deeper, much more subtle, much less obvious. Apart from anyone’s eyes, deep in my insides, God was going a new thing in me. In the depths of my heart, in a hidden place that the outside world could not see or understand, My loving Father was tenderly peeling back the layers, revealing to me my very truest, deep-seated beliefs about Him and carefully chiseling them away to replace them with truth. For the first time in years, opposition in our lives was not coming from outside, but from within these walls. No one was deathly ill on our doorstep. Ministry seemed to run fairly smoothly. The presence of friends was true and constant. And in this season of calm, within our home, deep wounds were on display – mine and theirs. Old woundedness, occurring long before God knit us together as a family, began to surface and just kept surfacing in this season of new. The newest thing of this season was the work God was doing invisibly, in our hearts. And in the midst of it all, of trying to hold all the wounds and pour out love, of trying to understand things incomprehensible to me and see our children through God’s eyes, he pulled up my very own heart-flaws, most blatantly this questioning, a wondering if really, this time, He would be faithful. I, who have tied my whole life up in proclaiming His faithfulness to others, believing in healing for others, declaring His goodness to others, wondered if really He would still be faithful to me. I have personally known His faithfulness time and time again. God has kept His promises, throughout all of my life and throughout all of history. I have tasted of His goodness; I have lived in it. And somehow in a season of things so different and so new, and so seemingly unending, I wondered if this time He would come through? I remembered His promise, spoken for months. But this new thing, it was not only beautiful, it was difficult. What new thing was He really speaking of? Couldn’t I see it? And so I sat in my wondering and my waiting and my pleading, and God spoke to me the same words again and again, “I am not done yet.” And I fought to believe it. But this was my way through the sea, my stream in the wasteland, my lifeline. When in my heart I felt that I might be truly done, He was still at work in the hearts of my people, and He was not done yet. He was not done with me. This year was different. Outwardly, almost nothing progressed. Almost nothing was measurably accomplished that an onlooker would notice or recognize. But inwardly, He was doing a new thing – in us. God was not finished with me, He was not done with the wounds in the hearts of our children, He was working, patiently and quietly, and sometimes even invisibly to chisel away at the hardened parts of each of us. In the quiet, in the waiting, in the asking and believing and sometimes even faltering, He was our stream in the desert. His strength became our strength when being strong seemed a thing of the past. His love endured when I wondered if mine would give out. His faithfulness endured through the waiting, through the changes, through the challenge. In the last weeks, we have seen immeasurable growth, joy and heart change in our children that does not compare to anything we have experienced before as a family. The Spirit’s work is evident and I feel the Lord’s hand heavy on our home. Of course in reality, it has been all along. His words ring true in my ears and in my heart, these words He has spoken over me long in preparation. I look at our people, our home, that He has so faithfully and so constantly poured into and He opens my eyes, I perceive it. He has done a new thing in us and He is not finished. And He gives us to drink that we may proclaim His praise. Halleluiah! His love endures. He is at work in us! I don’t know your desert place, the place that seems like a wasteland where God is clearly finished working or has moved on. I don’t know your places of questioning, “Will you really come through this time?” But I know that His promise to me could very well be His promise to you. “Behold, I am doing a new thing,” and surely, beloved, even when we cannot see or perceive it He is not done. He is making a way in your wilderness and a stream in the wasteland because you are His chosen, who He formed for Himself to the glory and praise of His name! Chin up, love. In the waiting, in the quiet, He could chisel away at those old wounds and you might just see that the new thing He is forming is you. Thank you, Katie. That was a word of comfort from the Lord to me this morning. God spoke to my heart today! Thank you Jesus. May He continue to work out all the fullness of his grace and love in and through you and those around you. Thank you Katie, a reminder I need as I sit in my desert with a questioning grand-child of where his momma is. I can only trust He will do a new thing in her life and make a way for her in the wasteland of meth and sweep her away in a stream of His righteousness. Thanks for your faithfulness in serving! beautiful post, encouraging as always…but i guess i completely missed the post(s) where you shared that you got MARRIED! goodness! congratulations, katie, and rejoicing to hear how the Lord is using marriage and this season to bring about healing and growth in ways beyond what you could have expected. Beautifully said! thank you! Katie! ~ thank You Lord! for always faithfully being the Creator ~ “making all things new” ….in the season of waiting ~ we trust Your ❤️ for You are GOoD!! Katie- you are an inspiration and I wait patiently for God's plan to continue in my blessed life and in who he wants me to help next. Or to reveal a different plan to me all together which is the beauty in and of itself. Peace. This was the exact verse the Lord gave me months ago. I was not sure what He was making new, but I thought how excited I was about it. And , like you, this season has been hard and raw. I have seen His faithfulness in the midst, but I too have wondered, “Will this be the one He may not be faithful in?”. Wow. Thank you for writing this. God is doing a new thing, and we will perceive it! Thankyou so much for this beautiful truth! I just read those scriptures from Isaiah last night…our God is good!! The way He speaks to us is amazing. Prayers for you and your sweet family, sister. I praise God for you, my sister. To God be the glory. Wonderful. He is changing me too. We are part of a new church plant in downtown San Diego. Who would have thought this 63 year woman could be a witness still for Christ. He's not done with me yet. Love this post so much. It really resonated with my heart. Oh Katie, thank you for this post! You have no idea how encouraging this was to me today! 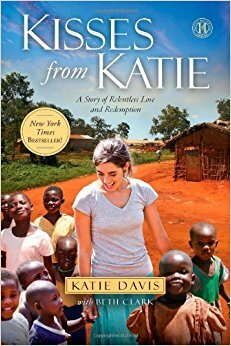 Katie…been following you for years…still impressed with your tenacity and heart to help our fellow man in a far away land than your birth land. Glad to see you keep blogging…as many of us follow you…more than you realize. I've been checking your blog for months, hoping for a new post and more wisdom. This is exactly what I needed to read in this moment. Thanks for this. Thanks for the reminder. I cant believe that you may read my words. I am starting a project in Mexico for children without parents (we have the second place in Latin America of orphans). This project was inspired after reading your book. I wish I had a heart as beautiful as yours! This brought tears to my eyes with the beautiful words God puts in your heart to encourage yourself and others. Thank you so much for sharing such a large part of your heart with people you don't even know! Katie, thank you so much for these words! I can so resonate with questioning God's faithfulness in the past months, and I struggle to see how He is at work (as little changes in my outward life). But our God is nudging me with your thoughts. He IS faithful. Thank you for reminding me, sister, and for encouraging all of us around the world! Thank YOU KATIE……THANK YOU YWHW…..I AM IN A DESERT AND HAVE BEEN GOING ON 40 MONTHS OF NOT SENSING HIS NEARNESS OR PRESENCE OR HEARING HIM. ……I am in desert and wasteland.And as deeply in Love with Him as I am I have had that thought, “” IS He going to come thru this Time…..””””. Thank you once again and all Glory to YWHW AND MAY HE BLESSED YOUR HOME AND FAMILY! ! Katie, thank you for sharing your life with so many people. You are an amazing woman. I have had a calling within my heart for years now and I have been patiently (well mostly patiently) waiting for the Lord to show the path He wants us to go on. My husband has been called to ministery and has one more year left to receive his Bachelors. I rememeber begging and pleading that God wouldn't put us in the mission field because my heart would be forever broken if one of my own children were to get hurt in the process. God has chiseled away these doubts and fears for three years and now I know that mission work is what He is calling us to do. My children are His. All people are His children. Therefore I must care for His children if I am able. Your personality portrayed in your book is very similar to mine. You love deeply. And therfore can be hurt by the things of this world. But that love and pain doesn't stop you from doing God's will. You have shown me that to find pure joy from our Heavenly Father we must also endure pain. It is because of your words that my fears have been laid to rest and replaced with passion for God's will. Never been moved in my life. Just read the first chapter in your book. If I had your heart and wisdom as early as you did….WOW! God bless you pretty girl!! You are beyond amazing!! I know that you hear that all the time, but you really are an inspiration. You've done something so incredible with your life and making a HUGE difference! You are a living angel here on this earth and there is not enough words to describe the wonderful person you are and how big of a heart you have. I only wish that at least I know what God's ministry is for me. I've struggled with this for awhile and desperately need direction. I am married and my husband is very supportive of my dreams. And my dream, since I was a child, was to go to Africa and help those in need. Now that I am a nurse and am working here in the U.S., it's great but something is missing. I feel like I'm making a small tiny difference here and there, but it's just not it. So, I've decided to go to Africa and hopefully in the midst of the wonder and love of the people and Jesus being so “in-the-center” and magnified there (without all the distractions of life here in the U.S), I would hear God speak to me and give direction in my life. I'm going with the Volunteers of South Africa ministry and will be helping out with the clinical medical project in Coffee Bay. I will be arriving there a few days early and would absolutely LOVE if I can meet you in Jinja, Uganda. Is that ok with you? I would love if I can just speak with you (and of course help with whatever's needed). I don't know if you'll get this, but by a miracle if you do and you read this…please email me at jiskandar1107@gmail.com. (I know you are unbelievable busy and it's selfish of me to ask for a reply, but it really would mean the world to me). Thank you so very much just for who you are and for helping so many people. God is using you in amazing ways and it's because your heart is so open and loving that you touch so many lives both in Africa and here in the U.S.
God bless you and your beautiful family and keep you all safe and growing in His name! Thank you for your amazing blog post, Katie. You are such an encouragement. I love your heart for Jesus and tenderness to what He wants in your life. I am praying for you! Well this post causes me to disagree with you..jk..you say you are not brave just because you went to Uganda but now I totally think you are brave because of the honesty of this post. I found myself weeping because someone else experiences the deep deep workings of God and struggles with deep deep faith. I've come to realize my only hope is His faithfulness and not mine. I want to do right and please Him and He just wants me to be with Him. Don't want to sound weird but I feel kind of like blood types we have similar heart types. I'm 50 and raised 4 kids but have always felt a pull to the mission field in Russia and Africa. Maybe I will see you there one day. Prayers of blessing and peace! All i can say is, Amen! Spoken, like always, from the heart and by the Power of The Holy Spirit! This post reminded me of His Faithfulness always, even when I do not understand what He is doing or working on deep within my heart. Thank you. I just found your blog, well now yesterday, and binge read it until 3 am. Your words are inspirational. I wish I had the strength to do what you are doing. I am waiting for God to tell me my path (or at least give me an idea). I prayed for you all night and the struggles you went through. I am nothing more than a college student in a little dorm in Northwestern Wisconsin who has no clue where her life is going to go. My fiancé told me that he's thinking about Australia. The Lord obviously has a plan for him and He wants me to be part of it. God bless and keep posting every once in a while. Tears fell down my face as I read this. This was definitely God's whisper to me today. Inside of us may be in ruins, but God is so faithful. He has to break down and remove that city from within to create His own, even if its a rough and dirty process. Thank you so much for your encouragement. It's so easy to get discouraged by what is inside of us, but God is faithful. He is building, He is making something new. Reading this post was such an encouragement and blessing to me, Katie! God knew I needed a reminder that He loves me so much. And He put you there to give it to me! Sometimes I want to feel finished and perfected. I want to feel like I know all there is to know about God, and feel like I've finished. But God, who knows infinitely more about myself than I do, says, “Wait a minute. I want to keep growing in you forever! I want our relationship to become closer every minute, because I love you!” And when I think about it, God's way is better. He keeps wanting me to grow in Him. After reading your post, I said to Jesus, “Please give me a heart like Katie.” And I know He will. He wants me to have the same spiritual richness as you do, and I know every moment I am willing, He is drawing me closer to him. I'm praying for you, Katie, and am looking forward to becoming friends with you, your husband, and your beautiful daughters in heaven, if not before! I am just preparing to ready your book so visited the blog. May God richly bless you and what he has called you to! I realize leaving a comment on a blog post is kind of a shot in the dark if you're expecting a response! I've been reading through your book and am just so inspired by your story and dedication to pursuing where God is calling you. 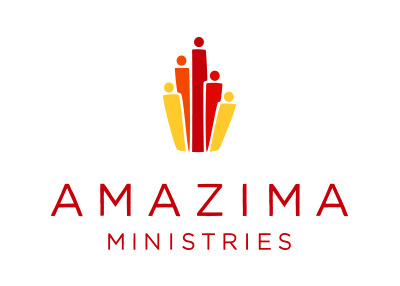 I'm really interested in supporting your ministry and some of your girls to further their education and would love to know how I can help. I've just finished your book within about 24 hours, and I'm WRECKED. When looking for a gift for my 13 yr old daughter for Christmas, Father told me the moment I laid eyes on your book “This is the one”. So I ordered it. I then down loaded in on my phone and started reading day befor yesterday. As I just read this blog post my heart is ever moved because Isaiah 43:18-19 is my life verse:) God gave it to me years ago through my spiritual mother as I was beginning on my own journey of restoration, redemption and realization. I have never read a book and cried so many tears because I've never heard someone so clearly express in words the same fear, pain and struggles that I have. Even more importantly to hear how Father has consistently reaffirmed His truth to you through His word in EVERY MOMENT of doubt, fear and uncertainty. All I can say is I'M WRECKED in the most beautiful way possible, I want to get on a plane with my own girls and just come serve alongside you for a few weeks. God gave me a heart for missions years ago and I've been to several countries and would live on the mission field, God hasn't opened all those door yet. Your heart is beautiful, know that I will be lifting you up in prayer daily going forward. I would love to know how to pray for you specifically, I will trust Father will show me. Be blessed precious daughter of the Most High God, your latter days are going to be your greatest days and you have only begun to scratch the surface of how He will use to shake the nation of Uganda!! I returned from Uganda a week ago. It was my fourth trip. The Lord opened doors for me to go quite different from yours. But it was the same love of our wonderful, heavenly Father that brought me there. A friend from our fellowship in Frederick, MD gave me your book before I left at the end of January. I would read a portion and began to weep. This became a pattern through my flight and first weekend there. I was seeking to understand the tears. I can only say it was a mixture of the beauty of Jesus expressed through your story, the love of our Father, and His goodness toward me to include me as another one sent to Uganda by Him. I passed through Jinja with the thought of seeing you but knew that might not happen. I visited the office and met Kerri and shook Mark's hand. I left a note and my business card. I am honored to be your brother in His service in that land. I just read this blog entry and relate so much to your comments. I ask Him smiling, “Am I done yet.” He said that Ephraim was a cake not turned. He has turned me a few times and still reveals some little fears, anxieties and doubts. But they are fading in the light of His glorious face. Face-to-face He calls us to know Him like Moses did, even like Jesus. Only He can bring us there by grace. He who began the good work will surely finish it. Be strong, fear not, He comes to fight on our behalf and bring us through. I sincerely thank you for your faithfulness. Your words are an encouragement to me today. It is most difficult to patiently endure when seeing no measurable progress. God's peace to you and your growing family!